Pickled Tea Hostel was started with the idea to provide clean, comfortable accommodation and a place for travelers to come and create memorable shared experiences during their visit to Yangon. For some, Pickled Tea Hostel was a starting point on the journey to Myanmar, a stop on a backpacking trip around the world, and for others even a “home” during an extended stay in Yangon. Whatever the purpose, we thank you for giving us the opportunity to serve you and hope we were able to leave a positive impression. We appreciate that many of you took the time to write kind comments and share your experiences with us through reviews online. We will be forever proud of earning your recognition as TripAdvisor’s #1 Yangon Specialty Lodging from 2015-2018 and the mention as one of the top places to stay in the recent 2017 edition of Lonely Planet Myanmar. Thank you. It is with regret that we have decided to close our doors and cease operations. A number of factors went into this difficult decision. There is no official license category for hostels in Myanmar and recently, hostels in Yangon were ordered to remove all bunk beds in order to be considered for further license approval. The regulation discussions have gone on for quite some time and have not been encouraging; bunk beds are a clear no. We feel this goes against the spirit of what a hostel is—a shared space that facilitates interactions among guests and offers opportunities for strangers to become friends. We hope perhaps in time the mindset will change. Tourism in Myanmar provides many opportunities for the locals in terms of job creation, assistance to small businesses and the like. It is important as the country moves forward, we all think of ways to help grow and develop these opportunities. We thank you again for all your support and it was truly a pleasure to host you! In the scenic local neighborhood of Sanchaung near to many of Yangon's attractions, Pickled Tea Hostel provides travelers a clean, comfortable and convenient place to settle down and experience the city. 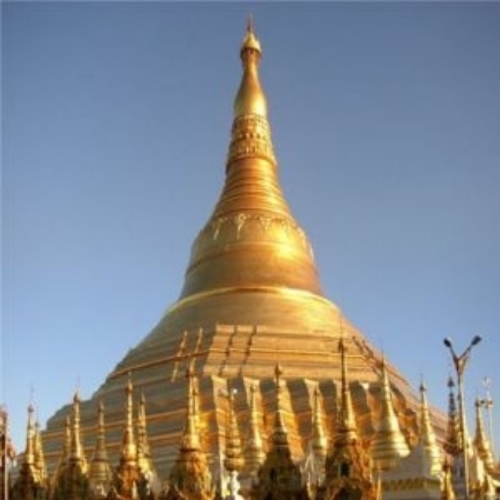 Within walking distance to Shwedagon Pagoda. "From the modern powerful showers to the big spacious bunk beds with practical reading and night lights, to the local breakfast in the morning... You can tell that a lot of thought has gone into this hostel. The staff are the sweetest most helpful people we met in the country, nothing is too much effort and they are keen to provide you with the most positive experience." "One of the best hostels I've ever stayed at. It was a great experience. The staff were very sweet and it felt like I was staying in someone's beautiful home. It was really clean and one of the nicest hostels I've ever stayed at." "i loved it! spotless, super comfy, perfect concept, privacy even in a dorm, amazing showers, helpful staff, beautiful interior design, super delicious breakfast (served even after the official time), relatively good wifi, nice location with food stalls around and close to the shwedagon pagoda! keep up the excellent work!" Mingalabar! A clean, comfortable and convenient boutique hostel in Yangon, Myanmar.